This entry was posted in NAA Live Archives and tagged Alex Fitzgerald, Andy Albright, Andys Live Show, NAA, National Agents Alliance, Stephen Davies, The Alliance, The Live Show, The Wednesday Call Live, TWC. Bookmark the permalink. The Wednesday Call (TWC) for February 11, 2015: Andy Albright hosts a live conference call and meeting from National Agents Alliance Headquarters in Burlington, NC! Andy's live show covers all kinds of great topics, including training, information on team building, new developments that are in the works, and frank discussions with your fellow agents (beginner and top level managers alike!). If that wasn't enough, the live show also provides motivation and encouragement that will help get you fired up and ready to roll! Be sure to tune in and take advantage of the great info in The Wednesday Call. Andy Albright hosted another The Wednesday Call live from AMP Studios out of NAA headquarters in Burlington, N.C. The Alliance hosted two boot camps earlier this week in Charlotte, N.C. and Atlanta, Ga. in the last 48 hours. 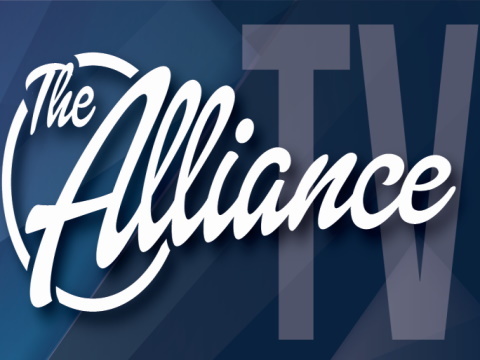 Stephen Davies and Chris Long joined Andy along with members of the corporate staff at the two boot camps, and both veterans of The Alliance joined Andy during the show. Darwin Hurme of Foresters joined the show via telephone to announce one last shot for people to earn a suite in the Greek Isles this summer. The contest is open to any agent who won the Greek Isles trip, but didn�t win a suite yet based on productions with Foresters from Feb. 1 through the end of March. Andy announced a few other special promotions going on with The Alliance, and Matt Clements from TesTeachers talked about two promotions his company is running to help people obtain their insurance license. There will be two more Boot Camps in Orlando and Ft. Lauderdale, Fla. on March 2-3. Andy invited everyone to start working to get people to those weekly meetings now in anticipation of the special Boot Camps. Then, on March 9-11, Andy will lead a team of people at three more Boot Camps in Greenbelt, Md., Westerly, R.I. and Detroit, Mich.
Andy explained to the audience that the best way to grow fast was to start getting people started right now. Get them in class, get them to a meeting and help them get started fast. How do you do that? Find out what they want and why they want to do it, and then help them go for it. Stephen Davies shared the story of how he got started with The Alliance. He had been knocking on 200 doors a day, and these people didn�t know he was coming to see them. He was in a job that he hated, and he just wanted a shot to take care of his wife and start a family. After seeing a newspaper ad from Andy Albright, Davies drove from Asheville, N.C. to Burlington, N.C. to meet Albright at his home. The bills were piling up, and Davies didn�t have any good options. That changed when he met Albright. In the next eight months, Davies made $110,000 and climbed out of debt. He started building and his wife, Hollie was able to quit her job and stay at home to take care of things at home. Davies said he�s not looking back at what he�s done so far with The Alliance, but rather is actively working to build his team even bigger than ever this year. Next Andy discussed not letting SNIOPs get in your way. Four ways to do this are: not thinking you were duped, not quitting or thinking about quitting, not knowing or thinking that others failed before you and by not being afraid of change. Chris Long joined the show next and talked about three things that are vital to your business. First, you must work on your cash flow and keep it up. As you get good at this, you will GLOW! How do you do it? Making dials, writing personal production and running appointments. Next, Chris said you have to read. You have to read daily. It must become your habit. Read in the morning and read at night. Read a page here and there during your day. This keeps your mind sharp and you are more focused on the task at hand. Even if it is for 15 minutes, keep yourself motivated to read every single day. The third key is through association with successful people. Make every effort to get around people that you want to be more like and that are doing things you want to do. Chase that knowledge to make yourself better. After all, it�s merely an investment in you. Success is a result of how we think and communicate with others. Andy wrapped up the show by telling people you have to let your mind get better against that voice that tries to negotiate you out of doing the things you have to do to be successful. You have to talk to yourself so that �the negotiator� doesn�t talk you out of doing what you should to get what you want. Keep striving to do the right things until it becomes automatic. You do it long enough and it becomes part of who you are and the routine you keep consistently. Make the commitment to avoid dealing with the negotiator in your head. End the debate today and keep working for what you want in life. The Live Show will air again on February 18, 2015 at 12:30 p.m. EDT.